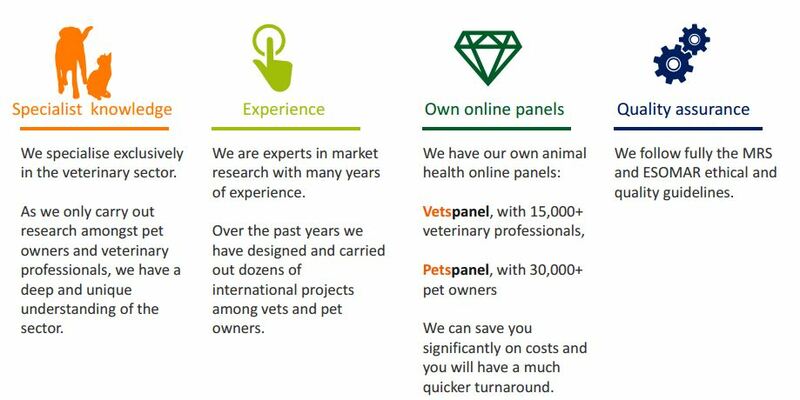 Specialising in veterinary market research, since 2010 we have run hundreds of surveys and interviewed more than 100,000 vets and pet owners across most countries in Europe. From fielding surveys amongst our panellists to complex advanced statistics, CM Research has the experience and knowledge to help you. As a full-service agency, we provide quantitative, qualitative and sample only services, including Driver Analysis, Pricing Research, Segmentation, Text Analysis, NPD Evaluation and more! Whatever your needs, CM Research will cater for them.